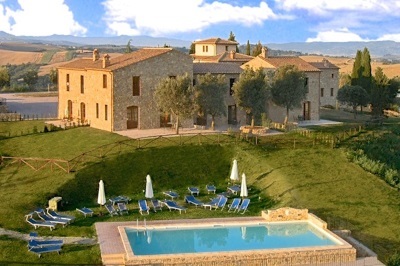 The sought after Val d’Orcia is an area that epitomises the essence of Tuscany. In the province of Siena, to the south, it is famous for its landscape of rolling green hills, golden sunflower and wheat fields, abundant vineyards, shady olive groves, charming cypress lined lanes and enchanting villages and towns. Gastronomy is intrinsic to the area which is home to a wealth of high-quality products such as Pecorino cheese, olive oil, truffles, mushrooms, saffron and, of course, fine wines. It is no wonder that the area is protected as a UNESCO World Heritage Site. 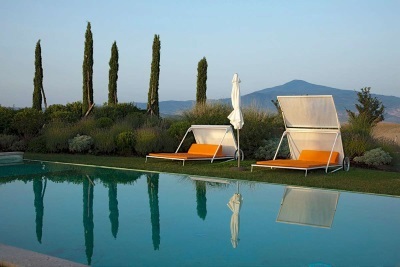 Think Tuscany… Think Val d’Orcia. The village of Pienza, is one of the many highlights of the area. Widely known as the “ideal city of the Renaissance”, it was built by Pope Pius II, who wanted to create a utopian dream on the site of his birthplace village. 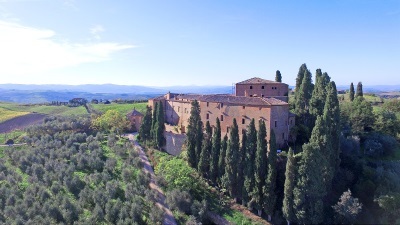 In a hill top location, Pienza commands extraordinary views over the valley. Constructed around a beautiful central square, its typically Tuscan narrow streets are alive with shops selling local produce which can be sampled in one of the many fantastic restaurants or typical osterie. The spa town of Bagno Vignoni is a truly unique and beautiful place. Instead of a main square, it is centred around a large pool which collects the hot water from the springs renowned, since Roman times, for their therapeutic powers. Today, in the nearby Parco dei Mulini, you can relax in the natural spring waters. The classic fairy tale hilltop town of Montalcino is famed all over the world for the production of its wonderful Brunello red wine. 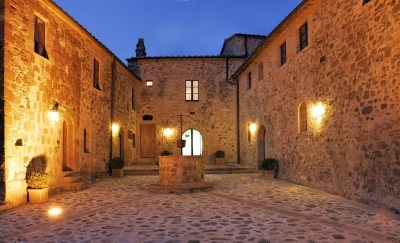 Surrounded by a full circle of fortified walls and watched over by a perfect medieval castle, the streets of Montalcino are truly enchanting and the village is a wonderful place to stroll around the maze of arts and crafts shops, cafes, restaurants and wine bars. As well as all the charm of typical Tuscan village, San Quirco d’Orcia it is home to the most photographed cypress trees in Tuscany whilst the picturesque village of San Giovanni d’Asso is famed for its truffles. 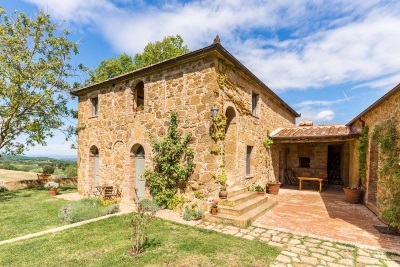 As you’d expect, there is always a strong demand for property in the Val d’Orcia and, as a result, the prices are often higher than in other parts of Tuscany. However, at Casa Tuscany, whatever your budget, we can help you find the right property. 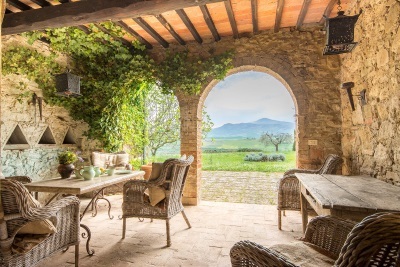 Whether you are looking for a bolt hole in one of the Val d’Orcia’s enchanting villages, a rural farmhouse in the beautiful countryside, a holiday home in a managed borgo, a renovation project, a wine estate, an accommodation business or even a castle, we can assist you. 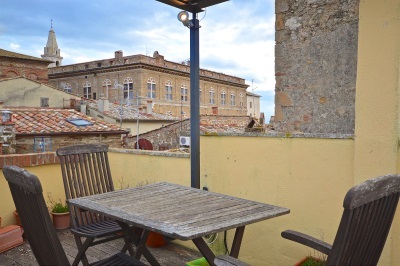 €200,000 – 5 storey town house with 2 terraces and views in the centre of beautiful San Quirico d’Orcia. 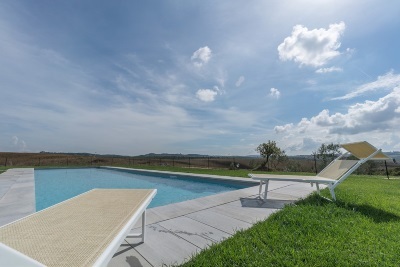 €310,000 – A beautiful development of tastefully refurbished apartments of various sizes in a country estate with panoramic views, gardens, parking, land, olive grove and pool. €325,000 – A selection of stylish apartments within an exclusive architect designed borgo with a shared pool. €440,000 Typical 17th century farmhouse, perfectly restored, with storage on ground floor, in a hilltop position with a 360° view. €495,000 – Beautifully restored townhouse with garden, plunge pool and great views in a lovely village with amenities. 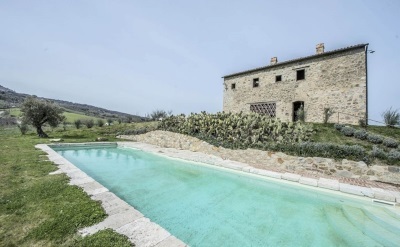 €490,000 – On the old village walls of San Quiroco d’Orcia, with beautiful architectural elements, wonderful loggias, ancient walkways on the old walls. Shared park. 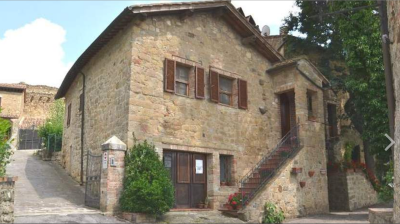 €280,000 – Charming house with a garden located in a hamlet a few minutes from historic Pienza. 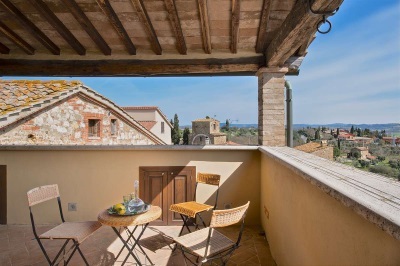 €390,000 – Typical 4 storey townhouse in the historical centre of Pienza, with a characteristic panoramic terrace overlooking the rooftops. 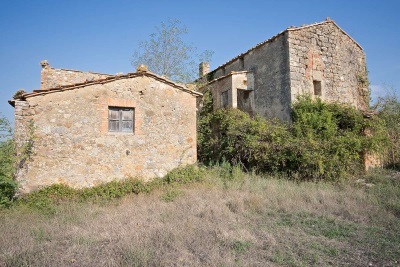 €450,000 – Near the cultural centre of Pienza, 13th century farmhouse to restore with 1 hectare of land. 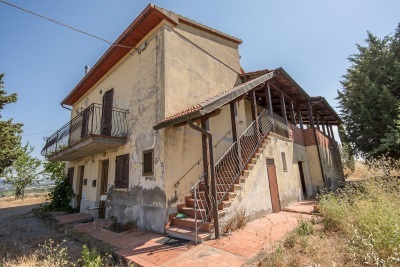 €490,000 – Just 1.5km from the historic centre of Pienza, detached house to renovate with great views and 3 hectares with 100 olive trees. €900,000 – A great price! 1,000 sqm, 8+ bedroom, farmhouse with scope to extend on the ground floor, outbuildings, 3 ha, vineyard and wonderful views. 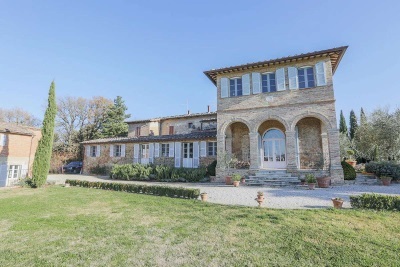 €950,000 – Beautifully restored farmhouse, divided into 2 apartments with an acre of land and olives, between Montepulciano and Pienza. €650,000 – A characteristic tower on the edge of a village with amenities, restored by a Finnish sculptress. 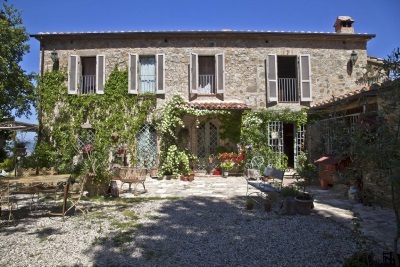 €780,000 – Newly restored farmhouse with 6 apartments and a pool. Great Value. 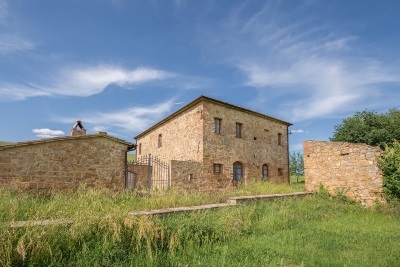 €600,000 – 3km from Pienza, typical restored farmhouse divided into 2 apartments with an annex to renovate and 1 hectare of land. 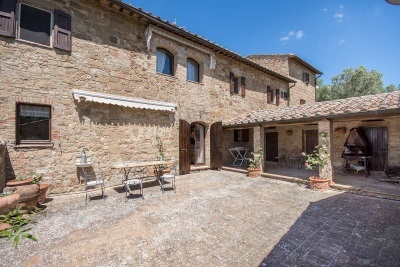 €680,000 – Characterful restored farmhouse with a hectare of land and 90 walnut trees, 8km from beautiful Pienza and 2km from a village with shops and restaurants. 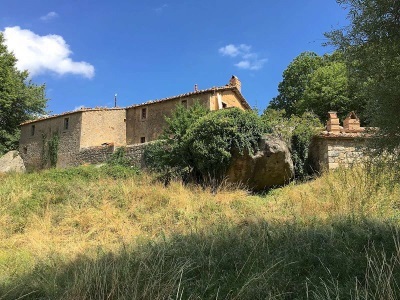 €720,000 – 1km from a village with amenities, part restored farmhouse full of rustic charm with 2 annexes to restore and 1.89 hectares of land. 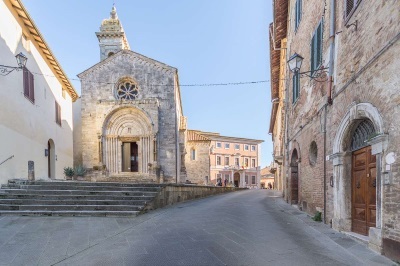 €950,000 – A stunning, elegant, high quality refurbishment of a former convent in the historic town centre of San Quirico with a tower and panoramic terrace and garage. 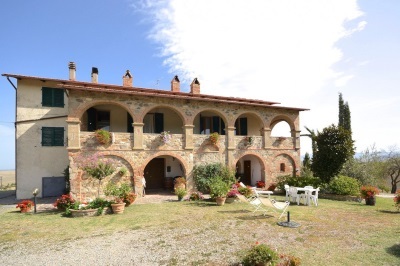 €1,790,000 – Beautifully restored farmhouse of 400 sqm with pool and 360° views over the rolling Tuscan hills. 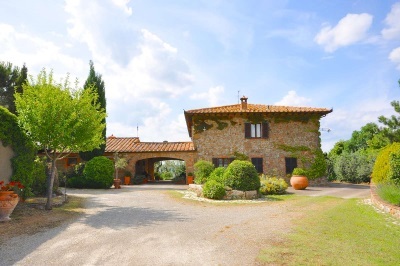 €1,490,000 – Charming, renovated farmhouse, a short distance from Pienza, with beautiful panoramic terrace, Val d’Orcia views, annex, lake, pool. 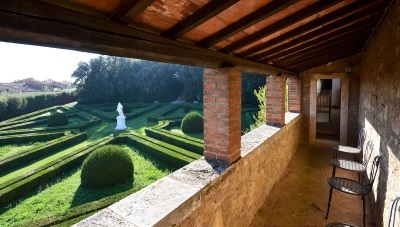 €1,800,000 – 16th Century Farm, near Castiglione D’Orcia and Bagno Vignoni, with extraordinary views and 26.5 hectares of land with olive grove. 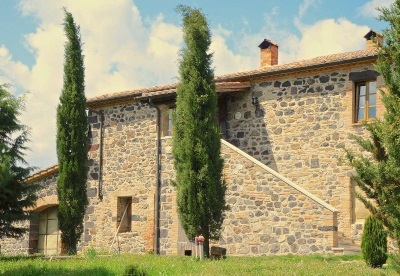 €1,900,000 – Near Pienza, impressive restored farmhouse and cottage in a hectare of land with 225 olive trees. 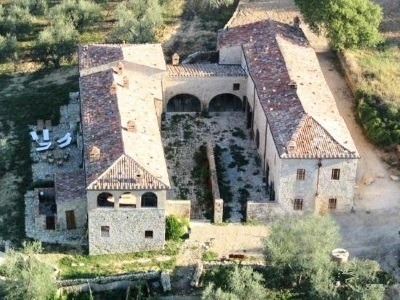 €2,800,000 – Breathtaking Val D’Orcia farmhouse with pool. Near Pienza, on top of a hill with a 360 degree view over the hills. Fully and beautifully restored. 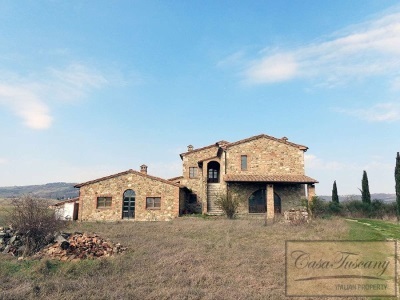 €3,900,000 – The perfect hilltop Tuscan farmhouse with beautiful rustic interior, furnished with taste and charm, 1.9 hectares of land, swimming pool and fantastic views. 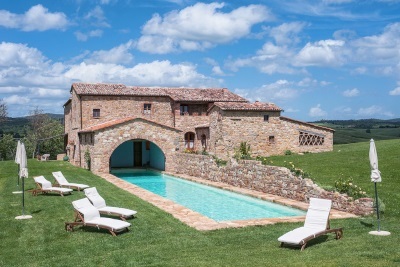 €3,750,000 – Close to historic Pienza, luxurious, chic restored farmhouse with annex, panoramic infinity pool and 2 hectares. 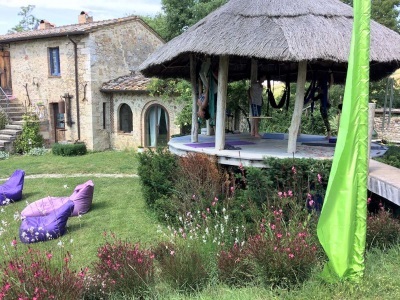 €3,800,000 – Just 2.5 km from Pienza, with breathtaking views, a fantastic artistic property with 10 apartments. 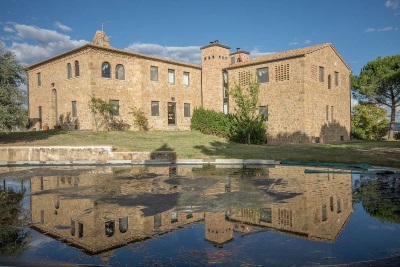 €4,200,000 – In the Montalcino area, nestled among Brunello vineyards, spectacular accommodation complex with five luxury apartments, restaurant, wine cellar, pool, historic church, 16 hectares inc. vineyard and olive grove. 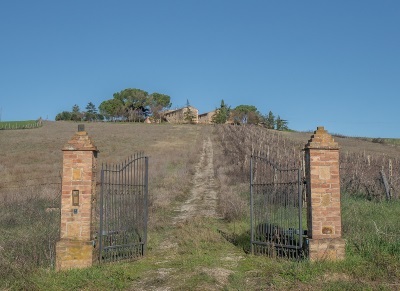 €4,350,000 – With beautiful views of the Crete Senesi, impressive restored farmhouse and annex with a pool and 7 hectares with 1,000 olive trees. 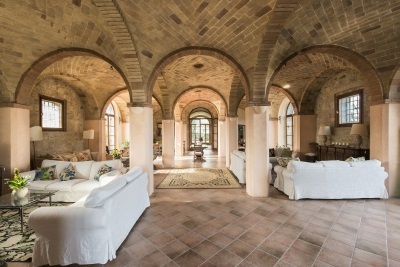 €4,495,000 – Stunning restored 11th Century Abbey, located in the magnificent World Heritage site of the Val d’Orcia, Tuscany. 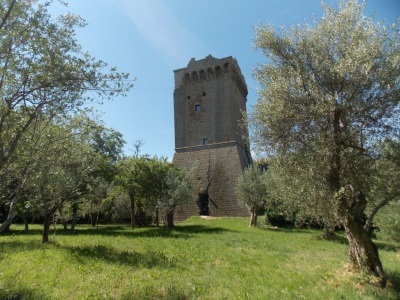 €3,200,000 – Near Montalcino, 14th century castle of 3,800 sqm with chapel. Requires restoration. 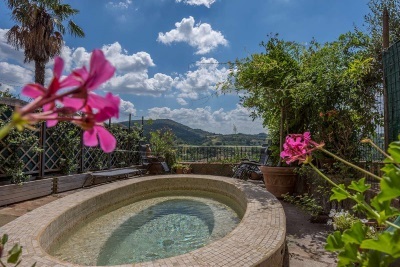 €3,385,000 – In the countryside of San Giovanni d’Asso, beautiful property comprising a main villa and annex divided into 5 units with a pool and 3 hectares. View all our properties on casatuscany.com.